KNOXVILLE, Tenn. – Tennessee women’s basketball coach Pat Summitt thinks the Lady Volunteers got a good reminder that all opponents, ranked or otherwise, need to be respected. Three days after playing passionately in an overtime win against then-No. 3 Stanford, the fifth-ranked Lady Vols came out flat against an East Tennessee State team that had only won one of its last five games. They turned up the heat in the second half Wednesday night and pulled away for a 102-53 rout in which University High graduate Angie Bjorklund tied the Tennessee record for career 3-pointers with 266. 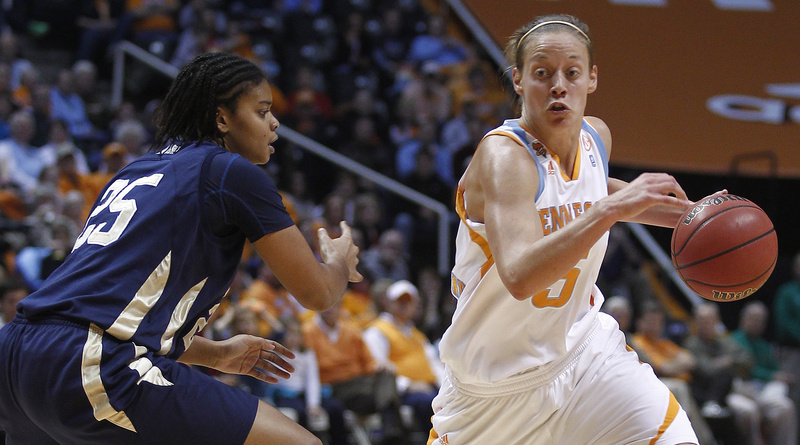 Tennessee (11-2) scored the first five points and used a 9-0 run to take a 23-11 lead with 12:30 in the first half. The Lady Buccaneers missed some open shots but pulled within eight points twice, but a 3-pointer by Kamiko Williams with 1:42 in the first half helped the Lady Vols take a 46-32 halftime lead. That wasn’t good enough for Summitt. The Lady Vols turned up the tempo and did a better job of getting the ball inside, where they had a definite size advantage, and scored 42 points. Bjorklund hit her fourth 3 of the night with 12:30 to go, which tied her with Shanna Zolman as Tennessee’s all-time 3-point shooter.